Meg is back with another Pinned it. Did it. post! This one has me making a special trip to the grocery store today to get a couple of ingredients so that I can make this bread (I have two huge zucchinis just staring at me on my counter right now). Read on for Meg's post. It’s that time of year when the fridge and the countertops are loaded with fresh produce either from the grocery store, the farmers market, or the garden. I remember planting a garden in high school and one thing we were certain would yield a lot of produce: zucchini. So if you have zucchini sitting around or have more to do with it than ways to cook with it, here’s the perfect way to use it or share it. 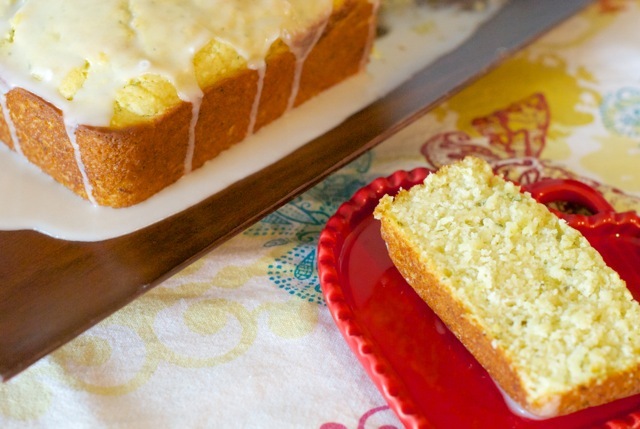 I first made this Lemon Zucchini Loaf with Lemon Glaze for some friends and it was devoured within minutes of cutting it. I knew at that moment that I would have to save this for special occasions or only pull it out when I really wanted to make an impression. And believe me, it does! However, today looking at all the zucchini we had in the fridge, I decided that it was also a perfect “just because” loaf. And I was right. It’s really easy to stir together. I followed the directions exactly as written for this loaf, but I think in the future I will play around with the recipe to see if I can make substitutions like gluten-free flour or applesauce instead of oil, or cut back on the sugar. I make note of changes to each pin when I re-pin something to my “I pinned it and then I did it” board and I think one other slight adjustment I will make note of for the future is to use less lemon juice for the glaze and maybe split the liquid portion of the glaze: half lemon juice, half buttermilk. 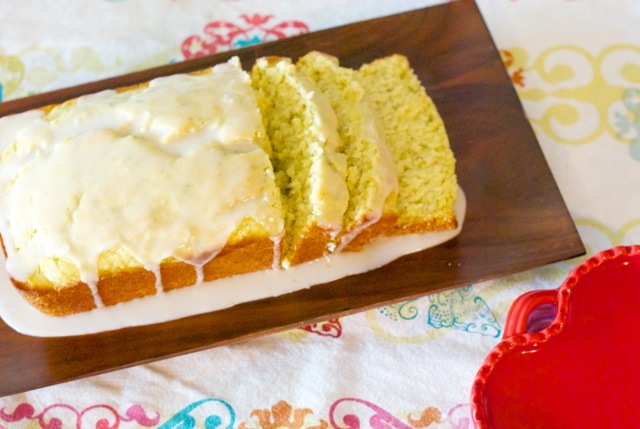 The glaze is a bit sharp in flavor and is very sweet. I could use a bit less and still enjoy it. And I am a frosting lover. But don’t skip it altogether, it’s wonderful. This bread has the perfect amount of lemon flavor. It’s not overpowering, just fresh and light. 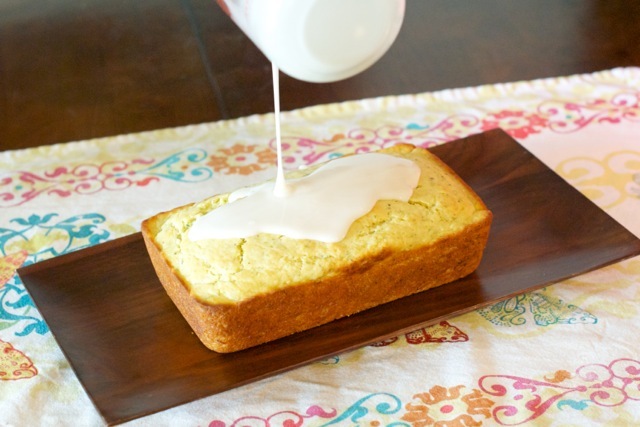 I also think the buttermilk takes it from being good to great with the hint of sour to help balance the sweet. And with a full cup of grated zucchini, it is moist and light as can be. Lemon is one of my favorite summer flavors. I like to pair lemon with iced tea for the perfect summer duo. What other flavors resonate with summer for you? tags inspired by pinterest, pinned it. did it.